Barbra Streisand knew what she was talking about when she advised us that people need people, and that those that realized this, were indeed the happiest among us. I agree and urge us all to get over our need to be self-reliant and instead, phone a friend. It is Monday morning and your car won’t start—and since you aren’t a car person you have no idea why. You call the repair shop and arrange for your car to be towed, then pull up Uber. It’ll cost you a pretty penny (what with the towing and car service and all), but your car will be ready for pick up at 5:00. Problem solved. You are so smart and self-reliant. Of course, you could have just asked a neighbor to give you a jump, but ….. Turns out, wallpaper is in—like, really in. Unfortunately, the condo you just bought came with absolutely zero wallpaper on any of the 1,800 square feet. 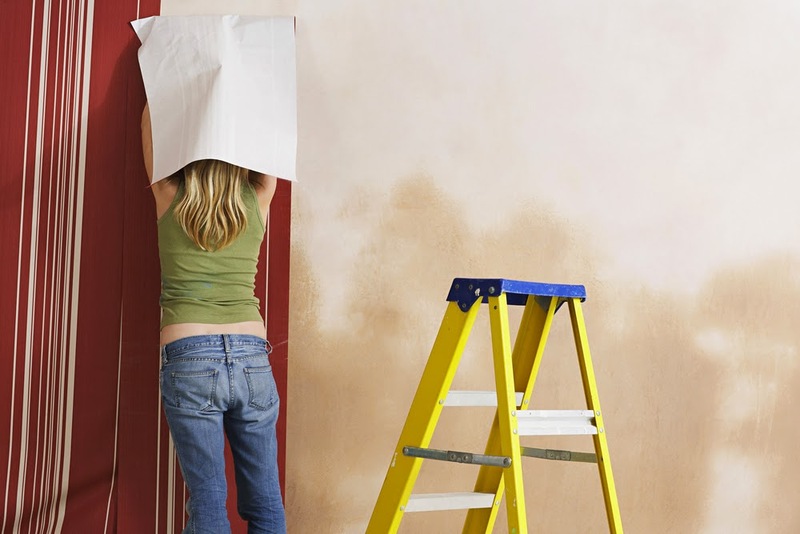 No worries, you’re an independent gal and can handle papering a few walls—easy peasy. So you log 4 trips to the store, haul 10 rolls and 5 gallons of paste up 2 flights of stairs, and spend 3 weekends prepping, priming, and papering to make the place your own. Golly you are self-sufficient. Go you! … or, you could have knocked the whole project out in just one night by calling in a few favors and a few favorite friends! The definition of self-sufficiency is the ability to supply one's own needs without external assistance, and for the majority of parents, is anxiously awaited and “halleluiah-ed” when it finally arrives in our children. Popular opinion across our 50 states is that to be self-reliant means that not only are you an adult, but that you are a capable, mature, enterprising adult. You’ve achieved total independence, you don’t need nobody for nothing, and you should be proud of this. The teaching of self sufficiency starts early, with parents praising kids for their first solo cinnamon toast, walking themselves to school, and even handling laundry on their own—just some of the minor skills we trust they’ve mastered before officially spreading their wings. Of our own accomplishments, we routinely boast about single-handedly completing renovations (“Did it myself.”), establishing a successful investment portfolio on our own (“I’m self-taught.”), and moving into and buying our own home (“Yes, finally: a place all my own!”). Make no mistake, the goal today is the ability to claim absolute freedom from the need for help from others. And of course, possessing skills of self-sufficiency is necessary and commendable—one absolutely needs to be able to take care of oneself—financially, physically and emotionally. Independence IS admirable. But here is the thing, and Barbra sang it best, people need people. Not for everything and not all of the time, but a lot of time asking people for help is actually the healthier, wiser and just more fun choice than stubbornly sticking to your “self-sufficient” image. A century ago, it was almost unheard of for someone to live on their own, indeed, only 5% of Americans so did in 1910. Today that number has soared to nearly 28%, and jumps to about 50% for both New York City and Washington, DC residents. How we live today has much to with the fact that it is simply easier to live alone—from a physical standpoint. We don’t worry about tending fields or pumping water, instead we luxuriate in the fact that there is hot water when we want it, all for ourselves, not having to be spared or shared with anyone else. And while there are of course, huge benefits that come from living alone, with the rise in the number of one-person mortgages, also comes the rise in depression and loneliness, and the demise in communities. Of course, I am using the trend of living alone as just one example of our seeming infatuation with self-reliance, but there are a ton of examples. Think about it, how many times have you asked for help today (or even this week), or doubled-up to complete an individual task that you and a friend share independently? Did you perhaps help a friend through a set at the gym, carpool to work with an office mate, pick-up milk for a neighbor while doing your regular shopping? They seem minor, but these little actions really do help to build communities and bring joy to our lives. As humans, our needs are simple—we seek support, guidance and companionship, and it is through our relationships that we are able to achieve these qualities. Yes, yes, we also need air, shelter and a way to bring home the bacon, but after these essential needs are met, it is our connections, and their ability to deliver love and a sense of belongingness, that comprise the next level of human requirements. See when you ask your neighbor/roommate/friend/random-girl-on-the-street to give you a boost so you can reach the top shelf in your kitchen, not only are you being supported, literally, but it is quite possible that you’ll also remember their advise to put heavy objects in lower cabinets, and share a good chuckle when all your Tupperware comes tumbling down. Support, guidance and companionship, things that would not have occurred if you’d just pulled over a chair and boosted yourself. Okay, silly example, but the point is that while it may make you feel good in the short-term that you were able to accomplish something on your own, in the long-term, the benefits that you gain—including health, new information, and general happiness, so far out-weigh the temporary and minimal benefits of self-congratulations as to not even belong on the same scale. So the next time you are considering tackling a project that you could absolutely do on your own, but which would be so much easier with a friend, please, just call the friend, neighbor, sibling! Listen to Babs, don’t “let our grown-up pride, hide our need inside.” People who need people are indeed the happiest people in the world!